Looking for new voices in worship? In the wake of the widespread worship renewal of the 80's, Integrity captured the sound of worship by partnering with worship leaders and significant movements across the globe. These early Hosanna releases truly documented this new sound of worship and helped connect this unique harvest with believers in over 180 nations. 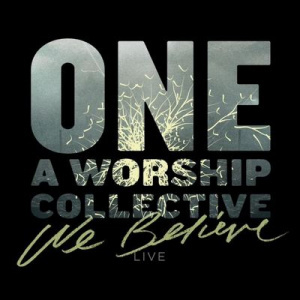 Now a new initiative, One: A Worship Collective, expands on the label's heritage of harvesting and sharing songs for the global Church. The hunger for new worship that is birthed from these genuine moves of God still exists in the Church today. The "ONE" series marks the beginning of a new journey to capture these songs of faith from different movements and ministries. The debut release will feature a collaboration of songs and worship leaders from within the Assemblies of God. Recorded in Dallas, Texas at the 714 Conference held on the campus of the Southwestern Assemblies of God University in Dallas, "ONE: A Kingdom Collective" will be introduced to the movement in a series of regional gatherings and District Councils, then launched at the bi-annual General Council in Orlando in August. 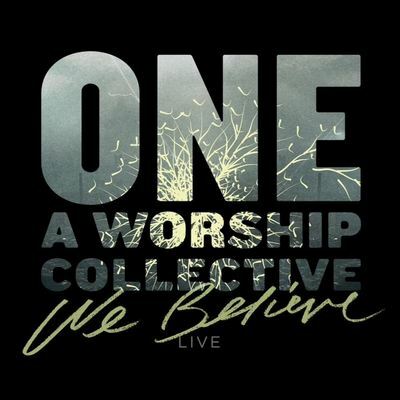 We Believe by One: A Worship Collective was published by Integrity Music in August 2013 and is our 12217th best seller. The ISBN for We Believe is 0000768521922. Be the first to review We Believe! Got a question? No problem! Just click here to ask us about We Believe.